There was a girl in my high school, a professional dancer, who was so overwhelmingly beautiful that whenever someone spoke to her they often forgot what they were trying to say. Chanel 28 La Pausa reminds me of her. I try to conjure up words to describe its beauty, but it simply renders me speechless. 28 La Pausa is a supremely buttery iris scent with a great deal of warmth. It smells light and clean, but is far removed from the “clean” (read: harsh and sterile) feel of many modern citruses. Iris scents frequently have a great deal of powder and are therefore prone to melancholy natures, but 28 La Pausa has a distinctly sunny disposition. There is no list of notes online, but I’m sure that it must be aldehydes that give 28 La Pausa its sparkle and that classic Chanel feel. But aldehyde haters need not fear: this fragrance contains nary a hint of Chanel No 5. 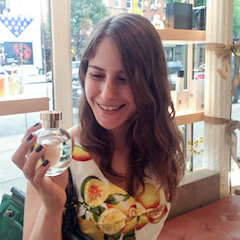 When I really love a perfume, I tend to associate it with a book or a movie. In the case of 28 La Pausa, it’s The Lord of the Rings. Yes, I used to speak Elvish; yes, I have a life size cutout of Legolas in my room; yes, I am a tremendous dork. 28 La Pausa has the ethereal beauty of Tolkien’s Elves, too pure and lovely to survive in a human-dominated world. Liv Tyler, with those huge blue eyes and translucent skin, embodied that delicacy perfectly in her role as the Elvish princess Arwen. Does anyone else ever wonder how in the hell Liv turned out so gorgeous despite Steven Tyler contributing half of her DNA? It’s one of the great mysteries of our time. La Pausa’s ethereal quality is something of a double-edged sword. 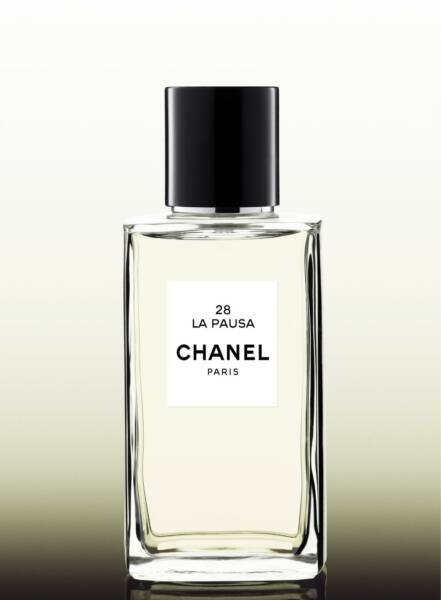 It has weak lasting power, which means that Chanel only sells it in humongous 6.8 ounce bottles, which means that La Pausa is going to set you back a good $200. For this reason, I would also suggest Prada Infusion d’Iris. They’re not the same thing at all- the Prada is a little more introverted, a little less lighthearted- but Infusion d’Iris is another iris scent with a similarly classy, graceful vibe. It is available at Sephora and most department stores; Sephora sells a 1 oz bottle for $56. 28 La Pausa is part of the Chanel Le Exclusifs collection, 12 scents that are available at Bergdorf Goodman, select Chanel boutiques, and the occasional Saks Fifth Avenue. If you can afford it, buy it. It’s perfect. Disclaimer: An extremely generous and knowledgeable SA at Saks Fifth Avenue in Chevy Chase made me a sample of this fragrance. Sounds lovely and I’d love to at least give this a sniff. All of the Chanel Le Exclusifs are $200 & sold in 6.8 oz bottles — though for that size it’s actually pretty good price. Not that I can object to being gifted a what I’ve deemed a ‘freaking huge bottle’ of Chanel No. 22 for Christmas. And you spoke Elvish? That’s so cute. I used to speak it as well — such dorks, but damn if I still don’t have a soft spot for Legolas. So very envious of your freaking huge bottle! You were spot-on in recommending it as a wedding perfume, btw. I really, really wish there was a smaller size- the price really isn’t bad for the amount of perfume you get, but it’s very difficult for me to justify spending $200 on just one thing. I feel only pity for non-dorks. They will never know the joys of a Pokemon-filled childhood like I did. Besides, I’m probably much stronger today from all that character-building teasing… probably. Dorks unite! I’m not sure why they insist on only offering it in such large bottles because it would sell better if it were offered in smaller quantities for about half the price. Of course, it does make them more unique than the other Chanels and I suppose that part of their reasoning behind it because not everyone does want a 6.8 oz bottle. For me Chanel No. 22 is an absolute favourite and while it’ll likely take a lifetime to get through that bottle I enjoy being able to wear it frequently without concerning myself with needing to replenish it in the near or even distant future. It’s terrible. I never watched Pokemon until I was an ‘adult’. I was 13 or 14 when it came out & I guess I was ‘too old’ at the time for it. It wasn’t until I was 18 or 19 that I regressed back into my childhood so to speak. I think my younger teens were mostly filled with naughty thoughts about Indiana Jones and aspirations of becoming an archaeologist. I remember very little Elvish these days, but I used to be able to write in it as well. I was such a Tolkien dork. I remember lamenting the fact that there were no red-headed elves and ended up dying my hair black because of it. You’ve made it sounds lovely. I hadn’t even heard of this before. SS, it is very lovely indeed! The LEs are really hard to find, so I’m not surprised that you hadn’t heard of them. They do seem to be on the Chanel website, though. I like the new look of your blog, btw! No, no, no. Not Legolas. Well, okay, *you* take Legolas. I’ll take Faramir, Sensitive Warrior Dude. Sigh. When my daughter was younger, I read her all of the LOtR books (editing out the archaic words on the fly), and so I can share my enjoyment of fantasy novels with her. She’s now 14. One of our favorite series: Memory, Sorrow and Thorn by Tad Williams. Great stuff. Mals, I love Faramir too! I think they did a great job with him in the movies, too- the father-son dynamic was very sad and touching. When I was maybe 13, Pirates of the Caribbean and LOTR 2 came out at roughly the same time, so Orlando Bloom was a formative part of my teen years. I am happy to take him off your hands! The story about you and your daughter is lovely. Right now my little brother and I are going through a Douglas Adams phase. I love reading more than anything else in the world. I have never read anything by Tad Williams, but I will be sure to check him out. The lasting power of the LEs are insane. With 28 La Pausa, it almost seems fitting that something so lovely can’t last for very long. However, I’m sure that if I actually spent $200 on a bottle, that reasoning would lose its charm very quickly. I don’t remember Rue Cambon, what is it like? CF, thank you so much for reading! It is a pleasure to have you 🙂 Since you like Cristalle, I do think that you will like La Pausa. In which case I advise crying, because that price tag is very scary. Buenas me fascina leer por tu sitio y leer articulos como este. Pero normalmente llego tarde a tus nuevas entradas.